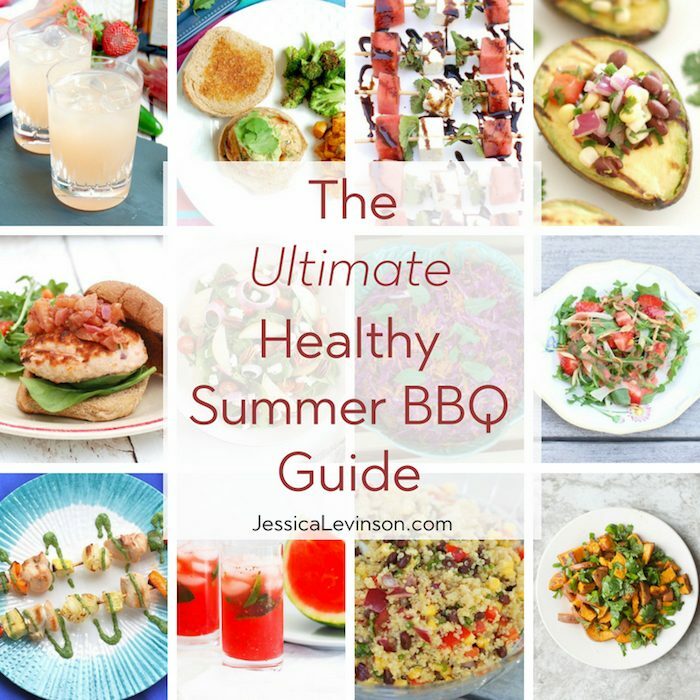 Enjoy cookouts without sacrificing fun or flavor with this ultimate healthy summer barbecue guide including recipes, cooking tips, and more! Memorial Day has passed, school’s out for some and almost done for others, and soon enough summer will be in full swing, which means it’s time for fun with family and friends at backyard barbecues! I don’t know about you, but I love summer cookouts – what’s better than enjoying nice weather while relaxing with friends?! And of course all those delicious summertime eats and drinks we look forward to all winter long. But beware – all that deliciousness also comes with a lot of added calories and less than healthy eating behaviors as we munch mindlessly poolside and eat more fatty meats – and more overall – than usual. No need to worry though – I’ve got you covered. 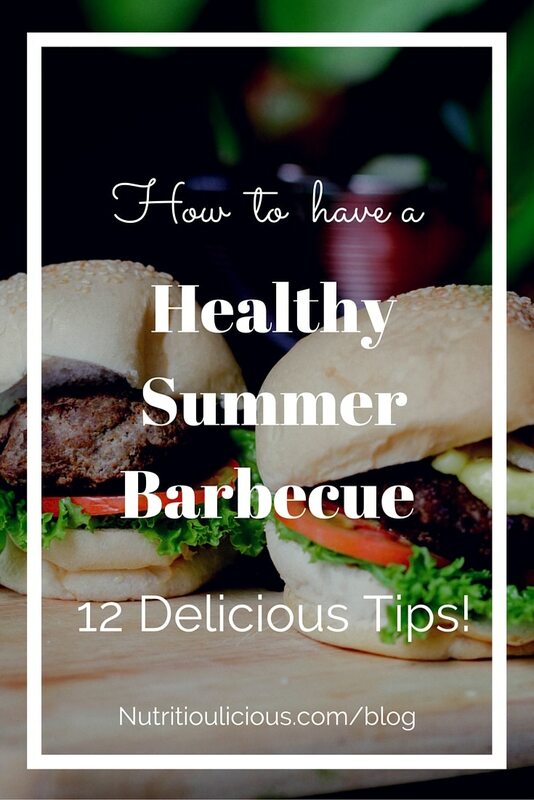 Before you head out to barbecue after barbecue, check out this ultimate healthy summer barbecue guide so you can enjoy all the summer cookouts without sacrificing fun or flavor! First up, appetizers. No cookout is complete without something yummy to munch on before the main course. But snack foods like chips and cheesy or creamy dips are typically pretty high in fat and calories. Instead of filling up on chips and queso, start with a glass of water, focus on socializing with friends instead of the food, and follow these tips to make it to dinner without consuming half a day’s worth of calories. Watch your portions: A serving of chips is about 15 chips, and keep your dip to about 1/4 cup to keep calories in check. Grab a small plate and sit down at a table instead of grazing at the buffet to help you keep track of how much you’re eating. Besides, you don’t want to spoil your dinner! Next, let’s talk main dishes, which usually consist of a variety of grilled meats. Lean meats are a great source of protein and are extra delicious on the grill, just be sure to use these tips to navigate main dish choices wisely. Keep ’em lean. Grill up skinless chicken breasts (either on the bone or cutlets), London broil, beef tenderloin, extra-lean ground beef patties, lean turkey burgers, salmon, or tuna. Make your own marinade. Many barbecue sauces and marinades are filled with added sugar and additives you don’t need. Keep it healthy by using just a little bit of the packaged stuff, or better yet, make your own marinade or sauce with olive oil, citrus juice, herbs and spices, or low-sodium soy sauce, honey, maple syrup, or whatever else you fancy. Skip the white bun: White bread can cause a spike in blood sugar that leaves you feeling hungry and cranky later. Opt for a whole-grain version for more nutrients and fiber, or skip the bun altogether and get your healthy carbs elsewhere, like some grilled corn on the cob! BBQ side dishes can be delicious, nutrition-packed accompaniments for your grilled protein of choice, but they can also quickly become a nutrition nightmare. Keep it healthy with these simple rules of thumb. Load up on veggies: Fill half of your plate with veggies such as a green salad or grilled veggies like summer squash and portobello mushrooms! Ditch the mayo: Many prepared side salads like potato salad, macaroni salad, and coleslaw are made with tons of mayonnaise, meaning they can pack up to 22 grams of fat (usually saturated) per cup! Make your own version and swap nonfat plain Greek yogurt for mayo, or try a mustard- or vinegar-based dressing. Pay attention to toppings: Toppings can quickly take a burger from a sensible meal to a calorie and fat bomb, so top wisely. Fresh veggies, mustard, pickles, salsa, and avocado are all tasty and healthy choices. Every great cookout comes with dessert! Don’t feel like you have to deprive yourself of something sweet, just steer clear of the heavy treats and follow these tips instead. 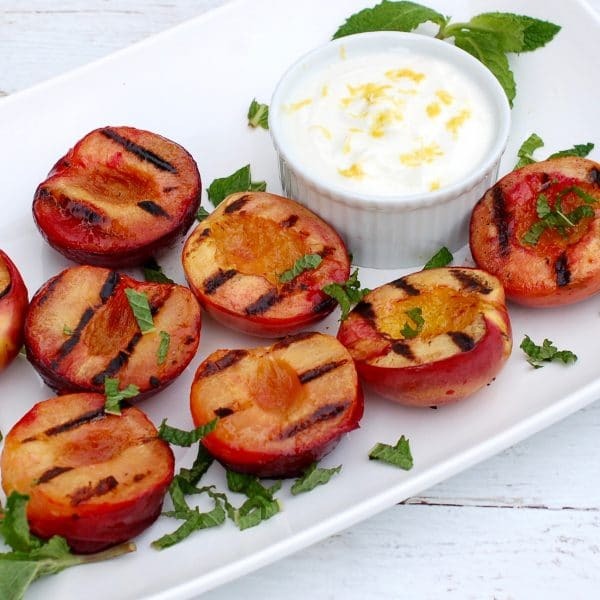 Go for fruit: Grilled fruit is one of the best ways to enjoy the natural sweetness of summer! Or enjoy a fruit salad with fresh mint for a light and refreshing dessert. Try a frozen treat: Ice pops made with fresh or frozen fruit and frozen yogurt are both delicious ways to cool down after dinner on a hot summer evening without racking up the calories. 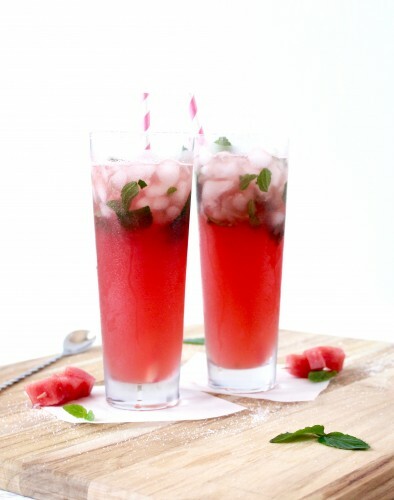 No healthy summer barbecue guide is complete without the drinks! It’s perfectly fine to unwind with a beverage or two at a weekend cookout. These tips can help you sip smartly. Hydrate first: Make sure you stay hydrated with calorie-free water or unsweetened iced tea. Sparkling water with lime is a refreshing way to increase your fluid intake too. And always alternate alcoholic beverages with water. Avoid sugary mixed drinks: Frozen drinks and sugary cocktails add up fast! Just one frozen margarita can have up to 500 calories! Calories from sugary mixers like soda and even fruit juice also add up quickly. Stick with water or add club soda and lime to your spirit of choice, or choose light beer or wine. And don’t forget to keep it to a healthy serving (that’s one drink for women and two for men). That’s not too painful, right? You definitely don’t have to give up your weekend cookouts to stay healthy this summer, just choose wisely and you’ll stay on track and have fun! Happy Grilling! 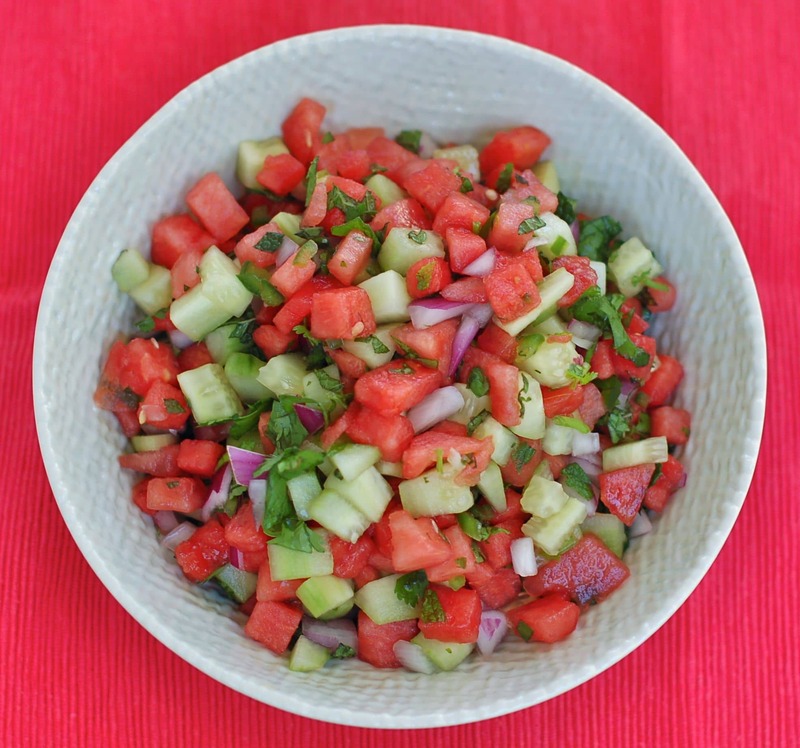 Want even more recipes for your healthier summer BBQ? 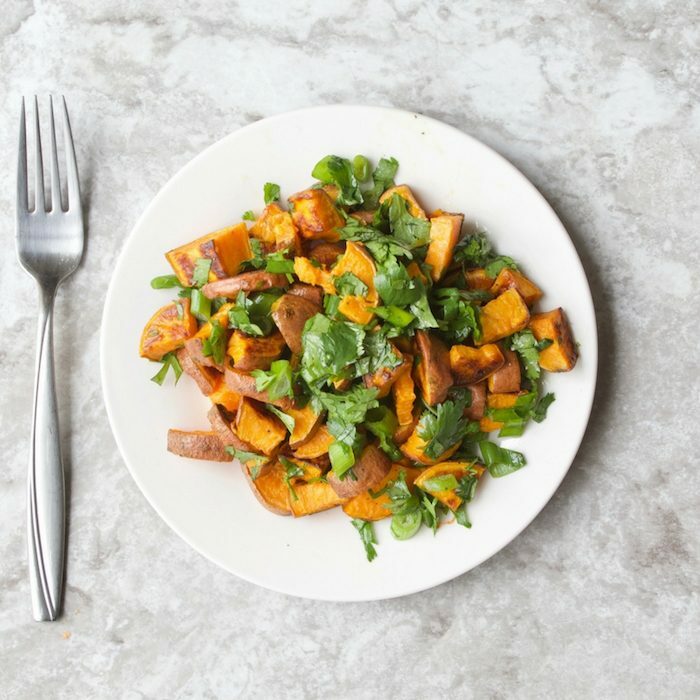 Check out our roundup of 70+ Healthy & Delicious Backyard BBQ Recipes or this Memorial Day Roundup for more inspiration! 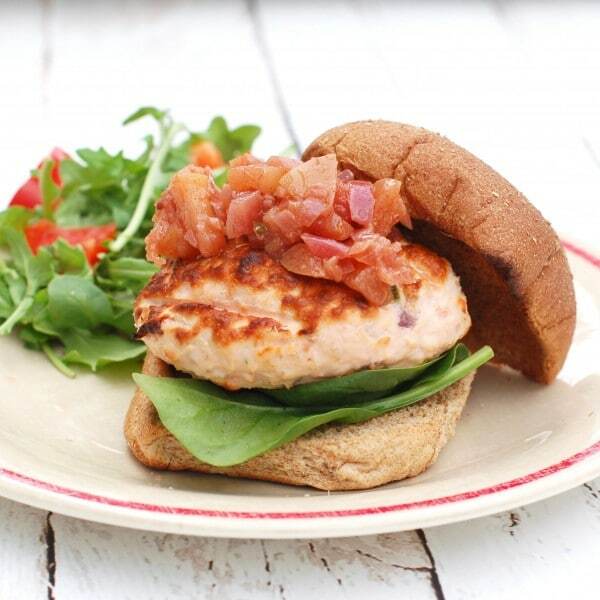 Do you have a tip to add to this healthy summer barbecue guide? 3. grill the crap out of it all. or just grill it till perfection. that works too! Haha…sounds like a good game plan to me! You always have awesome posts Jessica! Love the “load up on veggies” idea. That’s my goal this summer too! Aw, thanks Sara, you’re so sweet! Just try to give people real life tips that help with what we all struggle with! Hope you enjoy all the veggies this summer! This is a great guide to creating a healthy summer cookout. I’ve been admiring your watermelon mojitos from a afar but can’t wait to make them next weekend! Thanks Marisa! Can’t wait to hear how you enjoy Kaleigh’s mojitos for the holiday weekend! Cheers! I’m so excited too! Hope you enjoy! This is AWESOME! I love summer…I love BBQ’s…I love all the healthy seasonal produce that are out this time of year. Thanks for all of this! I’m with you on all of that Katie! Thanks so much for stopping by. Thanks Deborah! Hope you enjoy some of these recipes soon! I’m all about using the BBQ in the summer, so these tips and recipes will definitely come in handy!! So glad to hear that Elysia! I love love grilling season. Grilled fruit is our dessert of choice during the summer. That’s great! Would love to know your favorite fruit to grill! You have no idea how excited I am for a about 2 weeks from now. WHEN MY HUSBAND AND I FINALLY HAVE A BBQ again! We have lived in a place for a year and a half without outdoor space and now, we are getting it back so we can host BBQs and serve up some of these delicious ideas! That IS super exciting! There’s really nothing like food off the grill. Hope you enjoy! we just got a grill and im all about grilling these days…so definitely going to take some ideas from here. Woohoo! One of my favorite parts of living in the suburbs is that I have a grill! Enjoy! Great tips! Ready for summer!! Thanks, Hope you have a fabulous and healthy summer! I’ve got my eye on the salmon burgers and turkey burgers. Those sound like great summer meals on weeknights, too! They definitely are! And they freeze well too, which is perfect for the hot summer nights you don’t want to cook!